Why Extend Remote Control to End Users? Remote Monitoring Management (RMM), for the longest time, has helped MSPs to maintain and manage thousands of corporate networks and endpoints. However, having the option to extend remote control to your end users using RMM can be even more beneficial to your role as an MSP. In this guide, we’ll show you the benefits of extending remote control to your clients. Remote control is a technology that allows users to control a computing device at a distance. This tool enables them to do certain functionalities a person sitting in front of the remote computer can. From there, they can take over the mouse, keyboard, and the apps installed on the target device. The goal of remote control technology is to eliminate the need for the physical presence of the user. This means that certain computing tasks can be accomplished without any physical intervention. Remote control is one functionality that most MSPs look after for an RMM software. This tool allows them to manage their clients’ endpoint devices with such ease and convenience. With remote control, they can monitor and manage a bunch of corporate networks, computers, and devices all at the same time. It makes them more productive and helps them accomplish their tasks a lot faster. 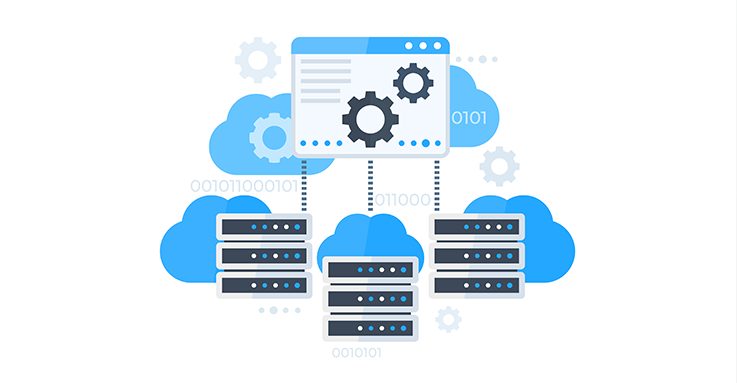 Remote Monitoring Management or RMM is a type of software that allows managed IT service providers (MSPs) remotely monitor and manage their clients’ endpoints, corporate networks, and IT systems. RMM usually works when a certain monitoring tool is installed on the end user’s endpoint device or computer. This tool gathers information about the overall condition of the remote devices and passes them to the MSPs. When a certain problem is detected, the RMM software will automatically create an alert (or sometimes referred to as “ticket”) and sends it to the MSPs, allowing them to take action and provide solution needed to solve the technical issue. These tickets are usually categorized depending on the severity of the problem. RMM is important to MSPs as it allows them to take actions immediately whenever a client-owned device or network is at risk. Gather information regarding the end user’s device or network. Actively updates the MSPs about the overall condition of their client’s endpoint or network. Creates tickets whenever a problem arises. Monitor the overall condition of the client’s device or network. You want your RMM software to have all the functionalities needed for your role as an MSP. Investing in an RMM software that charges you for every added option or feature is something you don’t want to consider getting. If you’re looking for an effective RMM software, then invest in one that has the ability to extend remote control to users. Being able to extend remote control to your clients can help you in so many ways. If the end users want to exactly see how their endpoints and computers are being managed, most likely, you need to utilize remote control for this. On the other hand, you can use remote control to effectively manage tons of corporate devices all at the same time. If the client also wants to train other employees or IT people within his company, you can use this functionality by displaying the screen of your computer on their end. This function is particularly beneficial to big and distributed organizations that have branch offices in different cities, or to some extent, countries. You also don’t need to use Windows Remote Desktop Connection or RDC when you have the ability to extend remote control to end users. It’s no secret that this Microsoft built-in feature can only be used on the same network, and if you want to use it outside of your local network, you may need to establish a Virtual Private Network or VPN. However, the complexity of adding a VPN using RDC can be challenging at times. It also doesn’t support endpoints that have a multi-monitor setup. As an MSP, you need to be consistent with the services you provide your clients with. Don’t make it to the point where clients can only enjoy certain functionalities after a few months of being subscribed to your service. You definitely need to consider getting an RMM software that can provide you with all these services from the get-go. One of which is the ability to extend remote control to end users. Author KenPosted on April 12, 2019 April 12, 2019 Categories Free Remote AccessTags access, free, instant, remoteLeave a comment on Why Extend Remote Control to End Users? Why Do You Need to Secure Remote Access? As much as it can be helpful, remote access, at times, can be harmful to your business. The challenges that come with the utilization of this technology can invite malicious attacks and threats. These adversities can disrupt your company’s network security and protection, leading you to face a potential security incident in the future. To secure remote access, you need to outline the policies that can help you strengthen your remote access security. In this guide, we’ll show you how you can secure remote access effectively. Why Important to Secure Remote Access? Whether we like it or not, remote access has sadly, become a target ground for modern hacking and theft. This is due to the growing number of people using the said technology. Almost all types of industries use remote access to better their work functions. And even for simple device users, this technology helps them to access their devices from anywhere at any time. However, remote access can also be vulnerable to malicious attacks and threats. In recent years, remote access has been targeted by modern hackers to steal important and confidential information from people, businesses, and whatnot. A 2012 report from Verizon Data Breach Investigations revealed that in 2011, 88% of all hacking breaches found in their record is due to the utilization of remote access. It has also found that 95% of all the detected malware in the previous year was due to the same technology. Another report released by Threatpost revealed that three healthcare organizations that use Remote Desktop Connection had their databases hacked by attackers through the vulnerable implementation of their remote desktop protocol or RDP. The breach saw 655,000 healthcare records across different parts of the US including Georgia, Farmington, and Missouri got stolen and sold on the dark web. Secure Remote Access Tip #1: Generate Strong Passwords – The first thing you need to ensure is to require users to provide a strong password before connecting to your corporate network. This will act as your first line of defense against unwanted access and malicious attacks outside of your walls and protection. Your password should be a combination of letters (both upper and lowercase), numbers, and special symbols. Secure Remote Access Tip #2: Limit User Access – Your employees should not have 24/7 access to your network. This means that the time allotted for them to remotely access their office files and data should be limited. Make remote access privilege to anyone. Ensure that only those who need to use this technology are the ones who are able to connect to your network remotely. Even for system administrators, all access should be banned temporarily especially if remote access is not being used to manage and maintain office devices. Secure Remote Access Tip #3: Use Two-Factor Authentication – One of way strengthening your remote access login credentials is by establishing two-factor authentication or TFA. TFA provides you with stronger security by merging two different login components. Any unwanted users who want to gain access to your network will less likely to provide both of the required login credentials. Secure Remote Access Tip #4: Invest in a Secure Remote Access Tool – All these security tips wouldn’t matter if you’re not invested in a secure remote access tool. See to it that the remote access software you have is secure enough for your business. One of the things you need to look after is its ability to encrypt remote sessions between the local and remote computers. This will ensure that all confidential interactions between the local and remote users are kept private and concealed. You also need to consider if the remote access tool creates session confirmation whenever an access attempt is made. Usually, it comes with the login credentials that users need to provide before establishing a remote connection. This ensures that all access made on your device or network is allowed and permitted. You also want your software to have an auto-update technology in it. This makes sure that all its security features, patches, and updates are current. Remote access, if implemented right, can be a great business ally that solves business emergencies and demands on the go. That’s why having a secure remote access system for your business is no longer a privilege, but a mere requirement for long-term success. 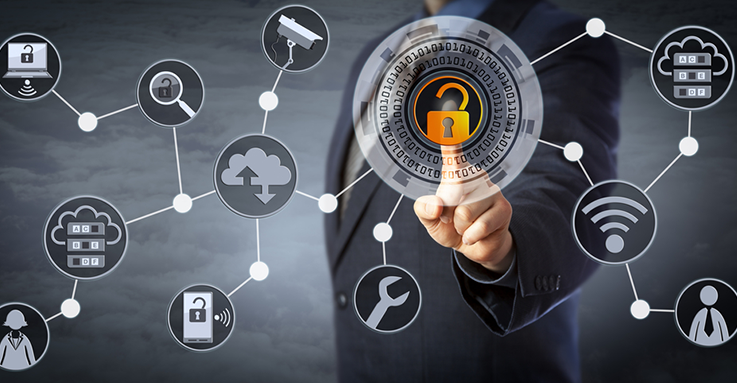 By securing remote access, you no longer need to compromise your organization’s security just so you can have wider connectivity outside of your network. Author KenPosted on April 8, 2019 April 12, 2019 Categories Free Remote AccessTags access, free, instant, remoteLeave a comment on Why Do You Need to Secure Remote Access? How Important Conditional Access is to Business? For companies that use remote access, security is a top concern. Any access made on your organization’s network, if not well authorized and authenticated, can pose well-known security risks to your organization and the people working in it. To achieve a well-balanced status between security and productivity, you need to understand and implement conditional access technology. With conditional access, you can ensure that security is always at the forefront whenever an access is made on your corporate network. Conditional access is a technology that limits the amount of information that can be accessed by users. Simply put, it enables you to add another layer of security for your own organization’s network. With conditional access, you now have the ability to allow and block users from accessing your company’s network system. This ensures that all access made on your company is sanctioned and permitted, allowing you to avoid security incidents that can be brought by unauthorized access. Businesses that use remote access need to understand the importance of conditional access. The sad reality with remote access these days is that it has become a target ground for modern hacking and theft. Having a strict policy when it comes to limiting user access and remote login can really make a huge difference in your company’s security and protection. This will allow you to mitigate the risk of a potential theft, and possibly, prevent a security incident from happening. Remote login – Conditional access has the ability to detect if a particular access request is secure or not. This technology will tell you right away to either allow or block any sign-in attempt depending on the security risk level it carries. This will ensure that all access made on your network is anything but harmful. Remote location – One of the things that conditional access can provide you with is the ability to detect if a particular login is made in a location that is outside of your IT department’s control. This will enable you to demand stronger proof and sign-in credentials before a remote user can establish a remote connection on your network. You can also block and allow login requests from certain areas and locations. Remote endpoints – One of the top security concerns of businesses that use remote access is the level of security most employee-owned devices have. The thing with remote endpoints is that you don’t exactly know if they are secure enough for your own network. With conditional access, you can limit the number of remote endpoints that can access your corporate network. This means that only those employee-owned devices that are under the control of your IT department are allowed to access your company’s network. This will ensure that all remote endpoints that can access your network is well regulated and managed. Remote users – With conditional access technology, you can limit users who can access your network from remote locations. This means that only certain users who need to access your corporate files outside of your company’s premises are allowed to use remote access. Other than that, all access can be disabled temporarily. Allowing users to access your corporate network can sometimes, bring some level of security concerns to it. Although it allows for a more productive and efficient work culture where business opportunities can enter, it can compromise your organization’s own security and protection. The thing with hackers nowadays is that through unwanted access and forced entries, they can steal confidential and important information that can break business ties and relationships. Aside from causing you a major security breach, it can also prevent business opportunities from coming. Conditional access, however, can help you strengthen your access policies from risky sign-in attempts. This is to ensure that every access established between the remote users and your network is secure and protected. With conditional access, you can mitigate and possibly, dodge the impact of a potential security breach. As hackers look for new ways to force their way into your system, you need a tool or a technology that will help you identify and detect flawed and risky login attempts from entering your system. Conditional access technology can provide you with this capability. This technology can be your first line of defense against credential compromise, unwanted attacks, and malicious hackers. With the help of conditional access, you can be sure to have a safe environment where preventing a possible security incident from happening is possible. Author KenPosted on April 1, 2019 April 3, 2019 Categories Free Remote AccessTags access, free, instant, remoteLeave a comment on How Important Conditional Access is to Business? Remote monitoring solution combats password and remote access threats. Remote monitoring solution enables administrators to support workers and access systems effectively while shielding credentials from dangers. It increases agility and access speed to drive security and business execution while at the same time enforcing least privilege best practices. Cyber criminals can easily find unsecured remote access pathways into your system. Most organizations simply don’t know about the majority of the remote access pathways being used by their employees. Vendors often introduce their own free or unsecured remote monitoring tools knowing that IT teams ordinarily have no centralized remote monitoring into their systems. Social engineers target privileged accounts that will permit them access to critical frameworks or pivot to different systems. Passwords and administrative accounts are frequently shared over groups and usage activity can’t be tracked to a particular individual. Many organizations disregard privileged credentials used by administration accounts and service desks. Complex phishing strategies copy real sign-in screens to steal these credentials. A remote monitoring solution is a secure choice that a support team needs to access work areas and to check how critical frameworks carry out their responsibility. The security of remote monitoring solution is essential in shielding your system from the dangers and meeting compliance guidelines. The remote monitoring solution is a secure remote support tool that typically incorporates encryption of data in transit and at rest, two-factor authentication, comprehensive audit trails, granular permissions, and more. In addition, solidifying all your remote access tools into one not just builds security by limiting the attack surface, but also helps your team to work more productively. Previously, the only way organizations could let employees remote in was to set up a VPN. With a remote monitoring solution, organizations can give them restricted access to their environment and record their session. There is an audit log of precisely what has been done. That makes the workplace substantially more secure. Also, the ROI and cost are critical in a purchase decision. If you need to maximize other IT interests in your organization while expanding productivity, a remote monitoring solution is the best choice for your business. Choose the remote monitoring solution that will support your organization to roll out significant enhancements and improvements to your service desk. With the remote monitoring solution, technicians can work from anywhere on their devices. 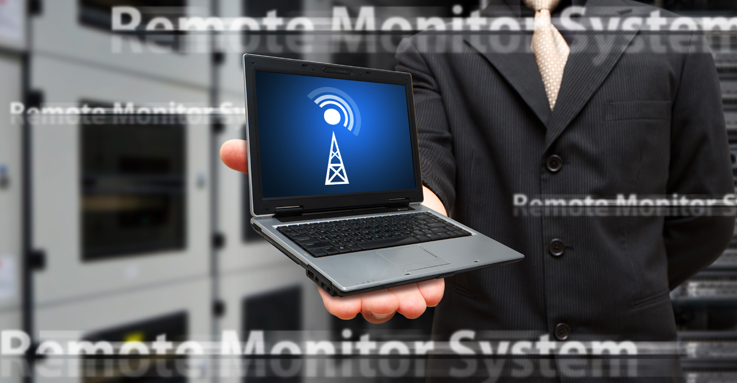 Incorporating remote monitoring solution will deliver an excellent monitoring experience to your organization. They will meet key performance indicators, service level agreements, and will hold the expense of support down. Using legacy solutions compromises security and efficiency. From a productivity point of view, consolidation is critical. Take out wasted time switching between platforms or physically updating data. When you use different tools, you are adding more process or layers. The remote monitoring solution is a remote support tool you’ll ever require. And with regards to security, legacy connection strategies like VPN do not inherently give the level of access control specified in compliance regulations. These legacy methods do not offer granular permission capabilities and are challenging to audit. Remote monitoring solution offers deployment alternatives. Organizations can choose from physical, virtual, or cloud appliances. Remote monitoring solution has helped organizations fulfill administrative requirements around remote access and support for years. You can deploy physical and virtual appliances on-premises under the trusted safety efforts you already have set up. Cloud solution highlights the usefulness of a remote monitoring solution’s on-premise appliances. 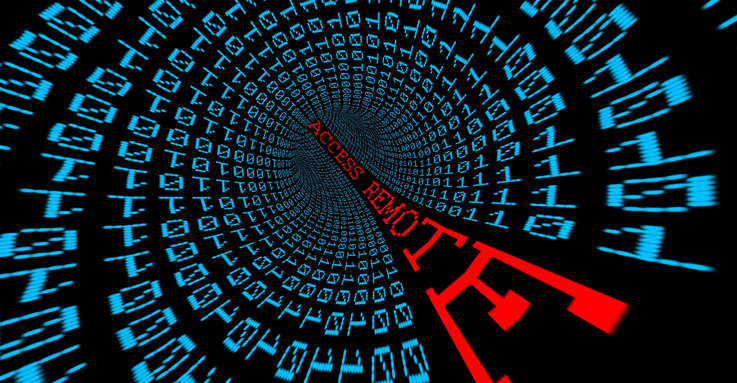 What are the Benefits of Remote Access Software to Business? A business network consists of endpoint devices that are involved in business operations. There comes a time when you will need access to a distant endpoint device for valuable files or data. 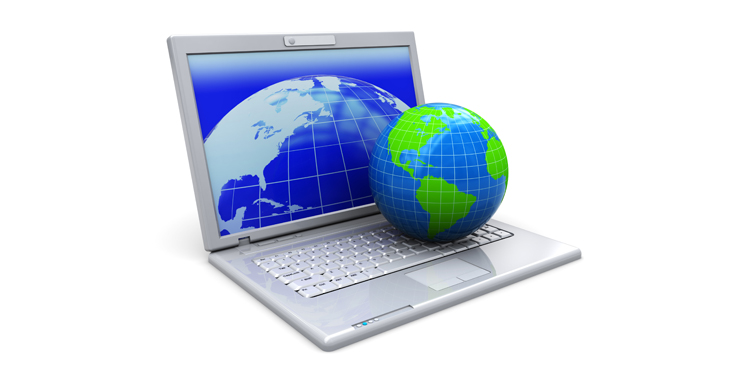 Remote access software makes that possible without having to travel. You only need to install remote access software to your device and the device you want to remotely connect to. This is a tremendous help particularly to large companies with many endpoint devices. It reduces the hassle of going from one computer to another to access information. Some employees prefer to work over the weekend or during their free time. Remote access software allows them to access the information necessary for the job. As a result, the employees can overview their work for accuracy and can move on to the next task. This improves the company’s productivity. Remote access software allows employees to finish tasks even outside working hours. Imagine having to travel from one place to another to access different computers. In an organization, this is such an inconvenience and it increases travel expenses. There are also times that you need to have access to a computer urgently. Remote access software allows you to have instant access to a desired computer without having to travel. This eliminates the hassle of traveling and reduces travel expenses. There are times when employees can not make it to work due to unprecedented circumstances. However, they need to meet deadlines otherwise the project will be delayed. For that instance, remote access software allows them to access important files from their office computer to work from home. So even if they’re home, they can continue working on their project. This prevents a project delay or cancellation. Through the help of remote access software, employees can stay productive even outside the office. In a company, organizing data is essential to prevent disputes. However, different departments have access to specific information. Downloading a large amount of data manually is time-consuming. Since time matters in business, a tool that allows you download data remotely is a great help. Remote access software allows data retrieval straight from your computer. It helps you keep important data organized hassle-free. Keeping business tools up-to-date is important in every company. There are times when you need to install new tools necessary for a smoother workflow. Remote access software allows an update installation on multiple computers at the same time. Imagine having to install updates on each computer at a time. Remote access software makes update installation easier. Imagine running a business without remote access software. Getting access to computers when necessary would be difficult. Remote access software is important particularly in technical operations. To speed up the process of fixing a malfunctioning computer, an IT administrator uses remote software. In business, keeping things simple is beneficial both to the company and employees. It allows employees to work more efficiently. Therefore, it improves the company’s productivity. Remote access software is a great tool that makes complicated tasks simple. With this tool, you never have to worry about not being able to access distant computers to retrieve files or data. If there are unforeseen events, you or your employees can still work on a project regardless of the location. With a remote access software, managing data is easier than it was ever before. Remote access software contributes a lot to your business growth. Author KenPosted on March 6, 2019 April 4, 2019 Categories Remote AccessTags access, free, remoteLeave a comment on What are the Benefits of Remote Access Software to Business? What Can Remote Access Do For Your Business? The reasons behind configuring and setting up remote access solutions for secure access to internal organization assets are clear. By enabling employees to work whenever they need to or when they’re feeling more productive, projects are finished more quickly. Remote access solutions also provide flexibility, allowing any Web-capable device, for example, a smartphone, laptop, or tablet to get to your preferred VPN remotely. Remote access solutions also boost the productivity and power of collaboration on files stored on the corporate system by various workers. Group assignments benefit from the contribution of people encouraged by remote access abilities. With remote access, web-based presentations and teleconferencing can be accomplished quickly. Telecommuters can draw on media and other information from a wide variety of sources. Remote logging devices also help to solve security among and inside VPNs, upsetting attempts to taint frameworks with malicious software and ensuring delicate data. There are a number of approaches to access documents on your host PC’s hard drive and on the LAN network it’s remotely connected to. Remote access services provide encrypted and secure and remote access login for clients. You can buy and effectively install any of the remote access solutions from the Web, choosing either professional or personal versions. Figuring out which remote access solution is right for your business relies upon an assortment of factors. The operating system supported in your company should factor into the choice. If your work environment runs on Windows or Mac OS platform, then you’ll need to pick a remote access solution that works best with that specific operating system. These remote access solutions are sometimes thought of as being for the technologically inclined, but the usage and installation of open source programs aren’t entirely different than those used on paid platforms. Huge numbers of the remote access solution vendors offer free trials for a brief period so that you can give the remote access solution a test before you purchase. Exploit these trials, as you’ll possibly need to live with that choice for some time. Switching between different remote access solutions isn’t that difficult or tedious, but employees that are used to one brand of remote access solutions are resistant to change and lose productivity amid the transition period. The amount that this will cost changes widely and relies upon your spending plan and IT staff, just as how substantial your organization happens to be. As you’d envision, the remote access solutions must be installed on two PCs. There are obviously discounts for volume orders, however, this can add up rapidly if you have a sizable organization. The more expensive rate accompanies more highlights. The market for remote access solutions is fairly steady, so you’ll get what you pay for from any of the major providers. If a remote access solution is cheaper in terms of money, it’ll most likely cost you more in work and time for maintenance and setup. You’ll also need to gauge the present expenses against future costs that may be incurred if you need to grow your remote access server limit and VPN. Adaptability is one viewpoint that should be remembered during the purchasing process. Whichever course you choose, a remote access solution is a good investment later on in any business. Network bandwidth and computing power have made sharing and accessing information between a variety of machines across broad distances less demanding as well as more secure. Because of different tunneling protocols and encryption, remote access solutions enable employees and experts to achieve assets remotely. Information stored on the organization’s work PCs or network can be reached without having to work on those machines physically. It frequently bodes well to change services to servers in data centers and enabling employees both at their homes and the workplace to take advantage of the organization LAN from any area. If your organization doesn’t already have a strong remote access solution set up, you should truly consider getting one. Author KenPosted on March 4, 2019 April 4, 2019 Categories Remote AccessTags access, instant, remoteLeave a comment on What Can Remote Access Do For Your Business? Finding the best remote access solution for your business can be a confusing experience. Most of the claims and promises made by some remote access providers don’t necessarily bring answers to your concerns and questions. In this article, we’ll help you get off the wrong path by providing you with a list of things you need to look for in an effective remote access solution. 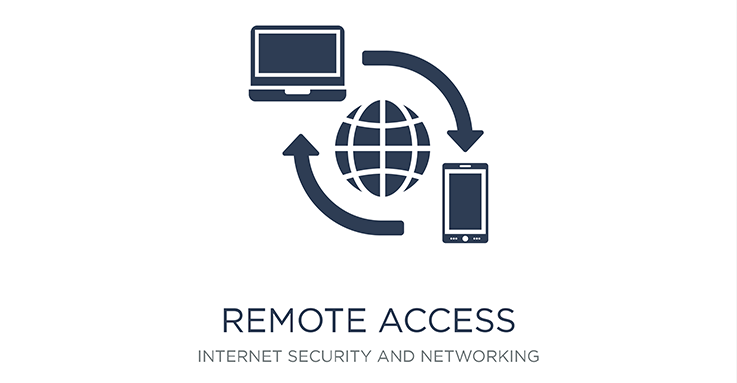 Remote access is a technology that establishes a connection between two or more devices in different geographical locations. The aim of this technology is to eliminate the need for any physical intervention to get a task done. With remote access, users who are in an offsite location can still access a computer as if they are sitting in front of it. They can troubleshoot issues, use apps, and even access files. 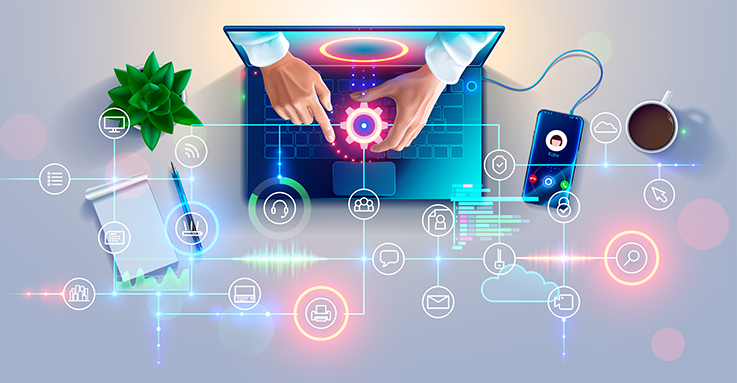 Modern businesses use remote access to widen their connectivity and drive up work functions. This enables them to address business demands and maintain business opportunities no matter what the situation is. Companies also use remote access to collaborate with teams across various locations and conduct long-distance presentations to key clients. More importantly, remote access promotes a 24/7 work culture among businesses. This allows employees to work from anywhere at any time in any given circumstances. It ensures that business emergencies are met and corporate demands are addressed properly. Provides Fast Solution – Organizations that use remote access can respond well in emergency situations that need immediate solutions. This ensures that business operations run smoothly while business targets are maintained. Provides Work Flexibility – With remote access, employees can have the freedom to work from anywhere at any time. Whether they’re working from home or on the road, remote access allows them to stay productive and enables them to complete their daily work routines. Decreases Employee Attrition Rate – Working remotely allows your employees to spend more time with their families and loved ones. This helps them maintain a healthy balance between their personal lives and work which in return, boosts their work satisfaction rate. Security – Security should always be a priority when choosing a remote access solution. The sad reality with technology today is that with new functionalities come fresh, new threats. Unfortunately, remote access has become one of the most popular grounds for modern online hackings. That’s why businesses that want to maintain a secure environment need to consider the security aspects of a remote access solution first. It is important to note the history and credibility of the remote access tool you’re keeping an eye on. “Has the security of this software ever been compromised?” Ask yourself questions like this and conduct an investigation on the remote access tool itself. This can be your first step into knowing whether it is secure enough for your business or not. Simplicity – You, for sure, want to have the best remote access experience. To achieve that, your remote access solution should be easy to use, deploy, and configure. You don’t want to have a messy looking remote access tool. That’s why the one you should invest in has its tools packed in a neatly organized panel. This will ensure that everyone, including those who aren’t tech-savvy, can use that remote access tool with ease and convenience. Usability – You should be able to make the most out of your remote access solution. It should be able to serve a wide range of clients and departments within your organization at no extra cost. It should also provide you with connectivity from anywhere at any time. This means that no firewall restriction should come in your way whenever you establish a remote connection. Accessibility – There’s no point in purchasing a remote access solution when your employees can’t access it from their home network. This will defeat the entire purpose of remote working which is one of the essential benefits of remote access. Choose the one that is going to allow users to connect to your corporate devices even outside of your company’s network. This will ensure that employees can still stay productive no matter where they are. Investing in the right remote access solution can transform the way your business operates. It can be one of the easiest and most practical ways to maximize your own business efficiency and provide a better work experience for your employees. Give yourself the chance to add remote access to your own disposal. You’ll be surprised by how beneficial it is to your business. Employees nowadays can be bombarded with tons of business requests outside of office hours. Those who may find themselves dealing with such unforeseen demands can’t help but wonder how’s that even possible to address. These emergencies don’t only affect your workers’ productivity but the overall efficiency of your business as well. This is where the need for a secure remote access solution comes in. With secure remote access, you can maintain business continuity under any circumstances. Remote access is the ability to connect to a device or a computer from a physically separate location. This technology aims to allow users to access and use a remote device to accomplish a handful of computing tasks. Users who use remote access can control, view, and administer any remote device he’s connected to. 1. Addresses Business Emergencies – Employees who are on day off or on the road can still address business emergencies using remote access. Since it allows them to work from anywhere at any time, they don’t have to be at their office desks to accomplish given tasks and demands. This ensures that business functions are still maintained and pushed through. 2. Cuts Costs – Remote access can save your enterprise more money and financial spendings. With this, you can cut costs on office-related expenses you will most likely spend on. You also don’t have to pay regularly for the maintenance and preservation of your office equipment such as computers laptops, and the like. 3. Improves Attrition Rate – Allowing your employees to work off site can give them more time for their families and friends. This can help boosts both of their work satisfaction and productivity rates. The sad reality with remote access is that it has become a target ground for modern-day hackings. As much as it can be helpful for your company’s growth, it can also compromise your own security and protection. That’s why investing in a secure remote access solution is more important than you think. Companies that use remote access technology promotes a Bring Your Own Device or BYOD work culture among their employees. These devices that aren’t owned by the companies themselves aren’t necessarily all protected and secure. Without a secure remote access solution, they can infect and pass malware to your company’s network in an instant. Not only does it disrupt the protection of your enterprise, but it also impedes business operations from running smoothly. Businesses also need to consider what security breaches can do for their credibility and reputation. Investing in a simple remote access solution can be a much more convenient choice. But it only takes one security issue for you to feel the impact of not investing in a secure remote access tool. One example of major data breach using remote access happened way back in 2011. A report from Verizon Data Breach Investigations revealed that 88% of all the hackings in its data set were caused by a few remote access services. These remote access services have also opened the gates for 95% of detected malware last 2010. What are the Things You Need to Look for in a Secure Remote Access Tool? 1. Remote Access Code – Employees who need to access your corporate devices need to be required to provide a strong password or a remote access code. This ensures that all access made by employee-owned endpoints is secure and authenticated. 2. Strong Video Encryption – This feature prevents recording of confidential and sensitive interactions. With this, you can be sure that no important information is spilled and leaked. 3. Firewall Free – A secure remote access won’t allow you to configure any firewall setting first before you can establish a remote connection. This ensures that you have easy access to any corporate device from anywhere at any time. Investing in a secure remote access solution can be one of the easiest ways for you to maximize your business’ full potential. You can have wider connectivity from anywhere at any time without compromising your own company’s security and protection. Add secure remote access to your own disposal now and see your business grow from here. There’s no denying that remote access has been one of the most fascinating advancements in the networking era we have today. To many, remote access is just a form of indulgence when they need to access another device remotely. However, for modern businesses, remote access has become a tool that maximizes efficiency and drives up work productivity. Remote access is the ability to connect a local device to a remote computer from an offsite location. Once the connection is established, the local device user can now access the remote device as if he’s sitting in front of it. From there, he can accomplish certain computing tasks a person in front of the remote computer can. He can update apps, run programs, and troubleshoot issues as required. Today, remote access has become an invaluable tool for most modern organizations. This technology allows them to have wider connectivity even outside of their own networks. With remote access, they can conduct business functions from anywhere at any time. They can collaborate with key clients all over the world and push business functions no matter what the situation is. IT help pros – IT professionals can use remote access to monitor, assess, and solve technical problems within an organization’s network. This will enable them to have a more organized approach to providing technical service. 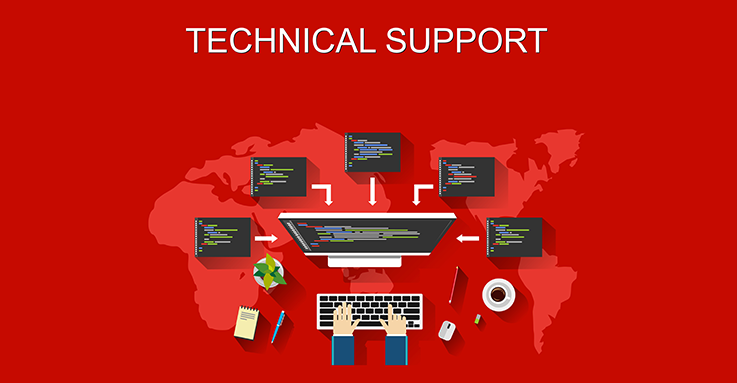 Technical support representatives – Customer service representatives can use remote access to elevate their service. This will allow them to access the screens of their customers so they can see where the problem exactly lies. This approach is more effective than solely talking to their customers on the phone. It gets the job done a lot faster and minimizes the amount of misunderstanding between them and their customers. Team leaders or managers – With remote access, team leads can collaborate with their members from all over the world. This will enable them to share updates, hold conferences, and conduct meetings regardless of the geographical differences between them and their team members. Business disruptions don’t choose when they are going to strike or not. They take shapes and forms from natural calamities to man-made disasters. These can interrupt business opportunities and impede employees’ work productivity. However, investing in an effective remote access solution can be a great ally when business disruptions strike. With remote access, employees still have the chance to complete their daily work routines without needing to be at a central work location. Whether it’s not possible for workers to come to the office because of the weather or a simple transit strike, there’s no excuse for them to not accomplish the tasks handed to them that day. This ensures that business functions are still pushed through and their work productivity isn’t compromised. Business emergencies can also be addressed effectively using remote access. The thing with unexpected business demands is that they don’t care if it’s weekend or your day off. With remote access, you can still provide solutions to these problems when a certain circumstance impedes you from getting to your office physically. You can either be on a day off or on the road, but with remote access, you can still stay productive and accomplish your daily work tasks. For businesses that want to save an awful lot of money, remote access works like magic. Since your employees don’t need to be at your office at all times, they don’t also have to consume and use much of your office necessities on a regular basis. This can save you money that will be spent on food, office supplies, and even electricity. On the other hand, your employees can also save on travel-related expenses such as filling up their tanks and paying for daily commute. Lastly, remote access provides a much happier work experience for your employees. Working from home or from anywhere they choose to allows them to spend more time for themselves and their loved ones. Maintaining a healthy balance between life and work can really do so much for your employees’ happiness and work satisfaction. This, in return, can improve your company’s turnover rate and boosts your employees’ work performance. In a world where modern business dynamics demand quick and immediate solutions to any corporate demands, remote access can be a great business partner. With the help of this technology, you can now maximize your business’ full potential and efficiency.